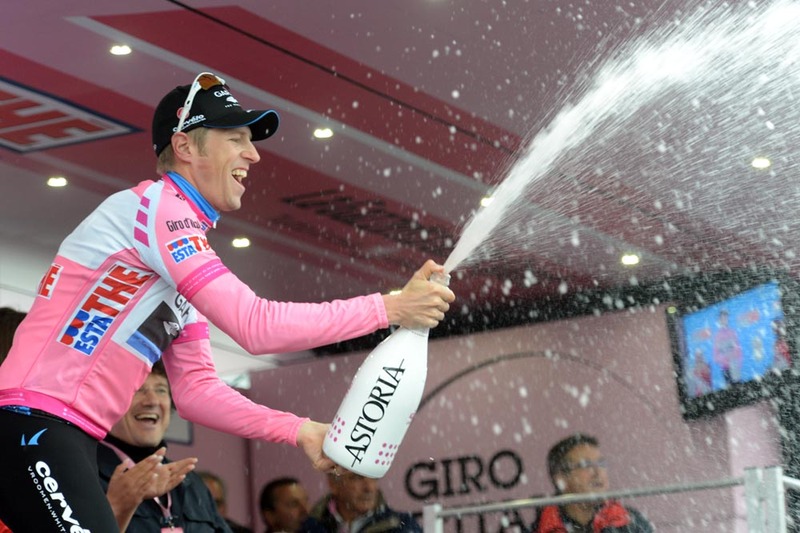 Ryder Hesjedal (Garmin-Barracuda) attacked and rode himself back into the Giro d’Italia’s lead today in Cervinia. He attacked solo with three kilometres remaining up the Aosta Valley climb, dropping rivals and former leader, Joaquin Rodriguez (Katusha). 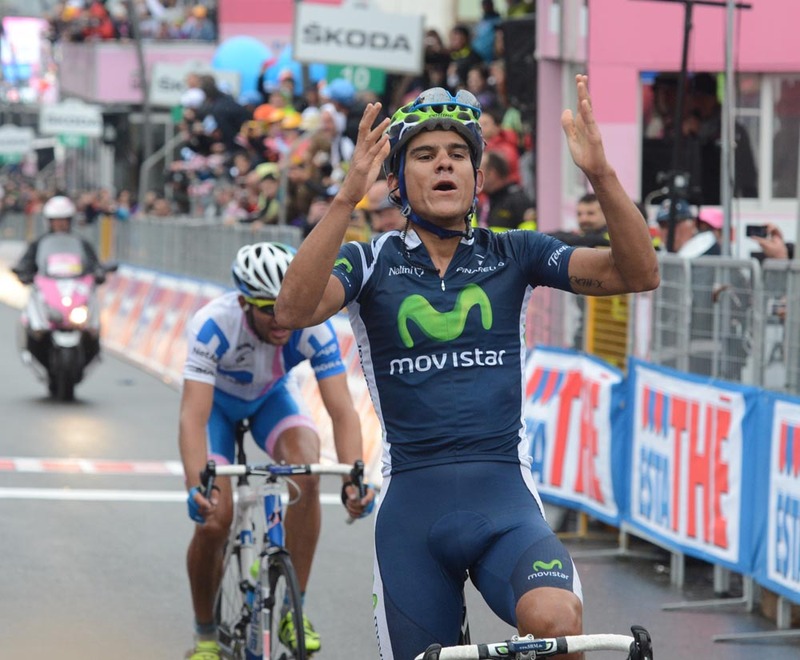 Andrey Amador (Movistar) gave Costa Rica its first Grand Tour stage win. He attacked early in the day in an eight-man escape group. The group split on the first major climb and reformed to a three-strong group to Cervinia. Amador climbed with Jan Barta (NetApp) and Alessandro De Marchi (Androni). Barta tried in the last 300 metres, but Costa countered for the win. Hesjedal kept his advantage on a group with Rodriguez, Michele Scarponi (Lampre-ISD), Ivan Basso (Liquigas-Cannondale), Sky’s Rigoberto Uran and Sergio Henao, Roman Kreuziger (Astana) and Domenico Pozzovivo (Colnago-CSF Inox). The Canadian crossed the line at 20 seconds back in fourth, but with 26 seconds on the chase group. It was enough to jump from second at 17 seconds back to first with a nine-second lead on Rodriguez. Paolo Tiralongo (Astana) is in third at 41 seconds. The Giro d’Italia started in earnest today with climbs in the Aosta Valley region of Italy. An eight-man break worked free before the climbs and the bad weather. Olivier Kaisen (Lotto-Belisol), Barta, Amador, Nelson Oliveira (RadioShack-Nissan), Matteo Montaguti (Ag2r), Nikolas Maes (OmegaPharma-QuickStep), Alessandro De Marchi (Androni) and Pierpaolo De Negri (Farnese Vini). Barta was the best of the bunch, 14-34 minutes back on Rodríguez at the start of the day. The Czech of team NetApp won the Settimana Coppi e Bartali and Rund um Köln in the month leading up to the Giro. His formed came through, attacking free today with 55 kilometres to race on the Col de Joux. Montaguti, De Negri, Amador and De Marchi followed. At the top of the Joux, with 46.1km to race, Barta led by 25 seconds on the other four. Behind, José Rujano (Androni) attacked with Damiano Cunego (Lampre-ISD). He later dropped him and passed over Joux 8-06 minutes back. The group was another one minute behind, with Fränk Schleck (RadioShack-Nissan) suffering. The thermometer dropped to 8°C, conditions worsened with light rain and wind. Costa Rica’s Amador caught and passed Barta on the descent. He led the race onto the 27km climb to Cervinia. Montaguti, De Marchi and Barta trailed by a half-minute and the group, led by Astana, trailed at 9-11 minutes. Cunego chased solo in between at seven minutes and Rujano had faded away. De Marchi closed on Amador with 11.5 kilometres to race and Barta joined back with 6.9 kilometres. Points classification leader Mark Cavendish (Sky) safely finished within the time cut in a big group of riders. Cavendish’s sprint rivals Matt Goss (Orica-GreenEdge) and Mark Renshaw (Rabobank) withdrew after Friday’s stage.